People have not been as interested in Microsoft’s Edge browser since, well, never, and now an early version of the new browser has leaked via bbs.pcbeta.com. There the site is offering a download link to the Chromium-based browser, which delivers version 75.0.107.0. 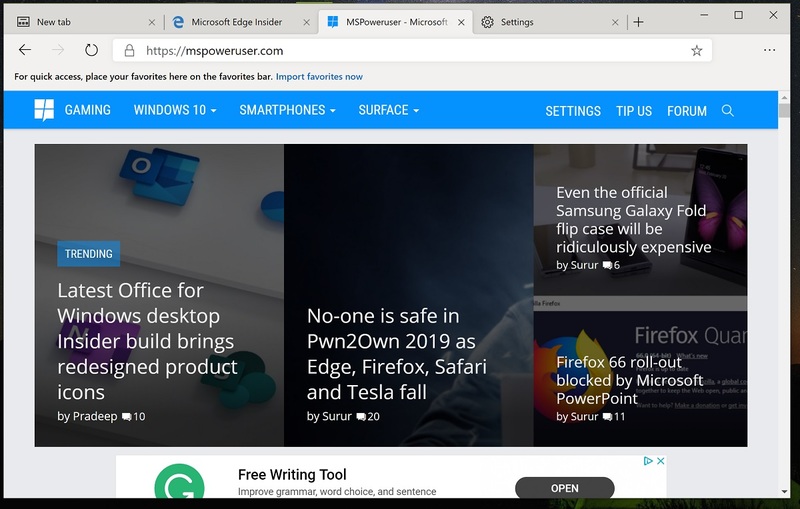 The browser will be coming for Insider testing in a few weeks, and will eventually make its way to Windows 7, Windows 10 and even MacOS. Importantly, besides Edge extensions, the browser will also support Google Chrome extensions via their store, which means full support for the thousands of nice extensions we all rely on. Microsoft has also been contributing to the development of the Chromium engine, and we should see an increasing Microsoft flavour in the very Google-like browser in time. This should, for example, include pen support and better accessibility options. Of course, downloading random binaries seems like a good way to get a virus, so this may be one just for the virtual machine. Update 25/3/19 : The latest binary (75.0.109.0) is being distributed by wpluto here.